Steven is a 1-year-old boy, he is from Iraqi Christian minority. His parents had to flee their hometown Qaraqosh, the biggest Christian town in Iraq, after ISIS invasion. He was born in an IDP camp, where his family found their temporary shelter. For the first few months, he seemed to be a completely healthy child. But after a while, his parents noticed that he was not reacting to their voices and sounds around him. The examinations confirmed that Steven was born deaf. The only chance for him to hear was an extremely costly cochlear implant surgery. Steven’ s parents did not give up and they tried to do everything possible for their son to afford this surgery. They sold their property, borrowed money from their relatives, friends and they received a contribution from our project as well. After a few months of collecting money, the day of surgery came and it was successful. 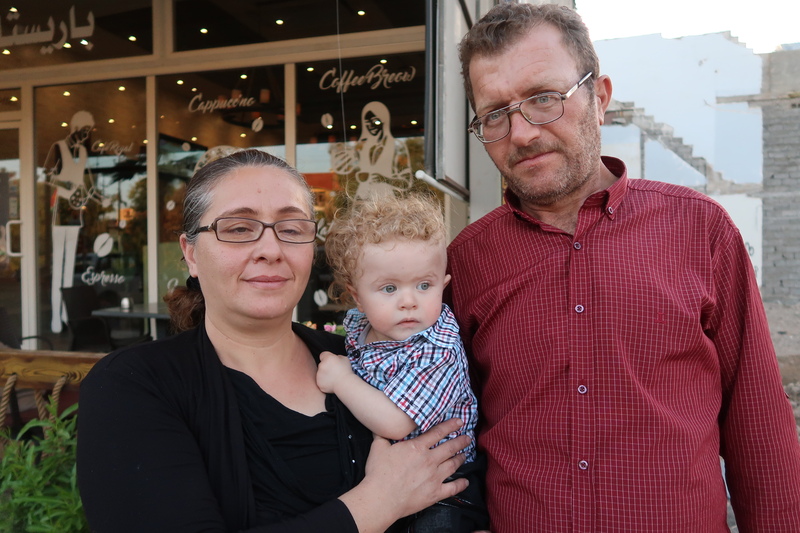 Today, Steven and his family are starting a new life in liberated Qaraqosh. 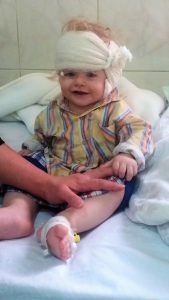 Thanks to you, our generous donors, he can grow up as a normal child.